When you run a small business, time is one of the most valuable resources you have available. When Constant Contact surveyed small business owners and asked them how much an extra hour in their day would be worth — the average was $273, with responses ranging all the way up to $5,000! With only so many hours in each day, you have the difficult task of prioritizing your time and deciding which tasks get done and which need to be put off until another day. But what happens when some of the tasks you need to put off, are actually limiting your ability to attract new business? This was the dilemma Katie McCarthy-Donovan, owner of K-9 Daycare, was faced with when she met Bryan Caplan, founder of BJC Branding in 2013. At the time, K-9 Daycare was reliant on an outdated website that had been set up when Katie launched the business in 2010. The website hadn’t been properly maintained, making it difficult for the daycare to showcase everything it had to offer. As a Constant Contact Master Certified Solution Provider, Bryan specializes in providing digital marketing solutions to small business clients. 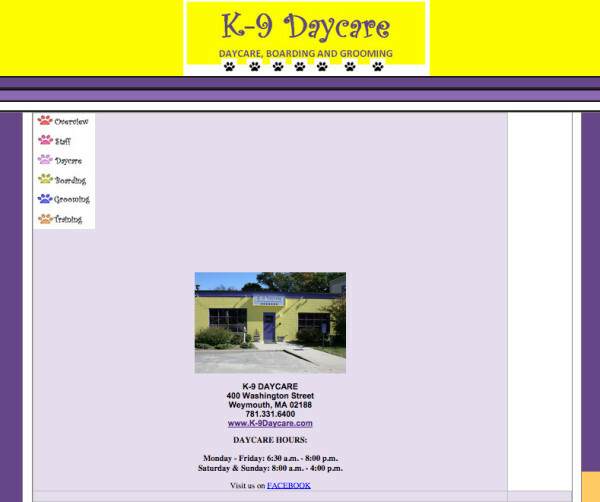 His first order of business for K-9 Daycare, was to completely reimagine the design of the website. 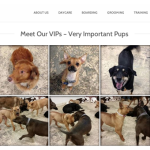 To help the daycare build that trust, Bryan decided to put plenty of four-legged clients front and center on the site’s homepage. 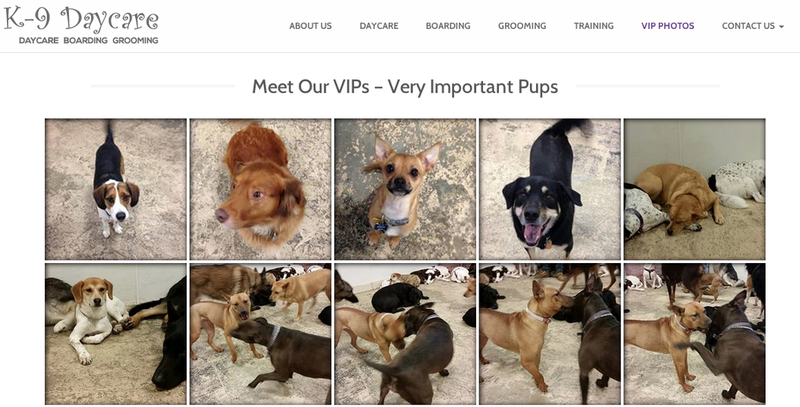 He also created a VIP (Very Important Pups) Page, which integrated with the K-9 Daycare Facebook Page and automatically pulls photos that have been shared onto the site. Along with the redesign, Bryan wanted to make sure new clients could easily find the site when searching for services online. To do that, Bryan researched some of the key phrases that people use to search for facilities like K-9 Daycare online. He was able to utilize those phrases when developing content for the site, and optimize the site’s pages to rank higher in local search results. 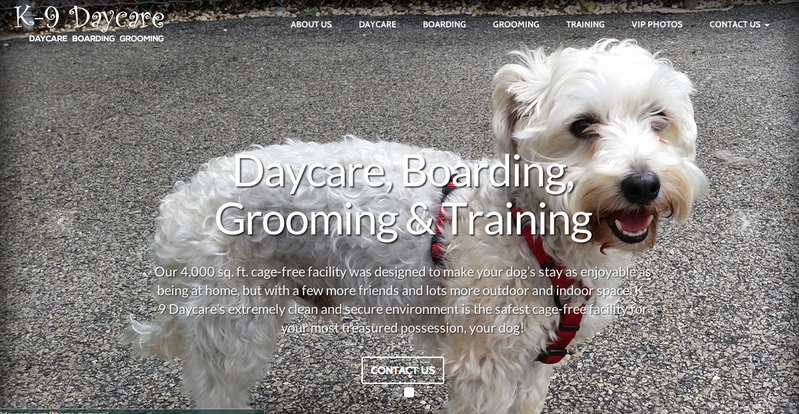 Along with making it easier for new people to discover K-9 Daycare, Bryan built new pages with details about the different services K-9 has to offer — including daycare, grooming, training, and boarding. In addition to having important details like pricing and availability, these pages include up-to-date contact information and a link to a downloadable application that pet owners can fill out in advance. These pages can be discovered through search and are also prominent on the website homepage. The final piece was to use the website as a hub and use it to drive further connection. Bryan wanted to give the daycare the right tools to increase traffic to their site and bring clients back again. With all these pieces in place, K-9 Daycare finally had the website and online presence they had always wanted. In addition to making a positive impression on daycare clients, Katie says that her business has seen an increase in daycare applications and more people asking about the services they offer. First, Katie and Bryan decided on a goal — to increase daycare applications and provide more exposure for the daycare’s service offerings. Next, they figured out what was holding them back. In this case, their website didn’t accurately represent their brand or convey the value they had to offer. After that, they identified a few impactful improvements to help them reach their goals. That meant redesigning the site and updating the content available. And finally, they put the right strategy in place to increase traffic and keep people coming back, by adding tools like email and social media. Are there marketing challenges you need to tackle? When you need help with marketing your business, finding a qualified expert takes the last thing you have — time. That’s why our Services Matching program makes it easy to connect with one of our Master Certified Solution Providers, an experienced professional marketer that’s ready to help you succeed.